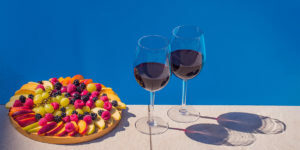 Pairing wine with fruit can be challenging but a great pairing can create an absolutely phenomenal experience. Some pairings are pretty obvious like strawberries and champagne. Others, much less so such as apples and a Cabernet. The chart below makes the process of choosing a great pairing easier.